Carnforth station is world famous as one of the settings used in the 1945 film Brief Encounter. The clock above the subway steps features prominently in the film, which starred Celia Johnson and Trevor Howard. 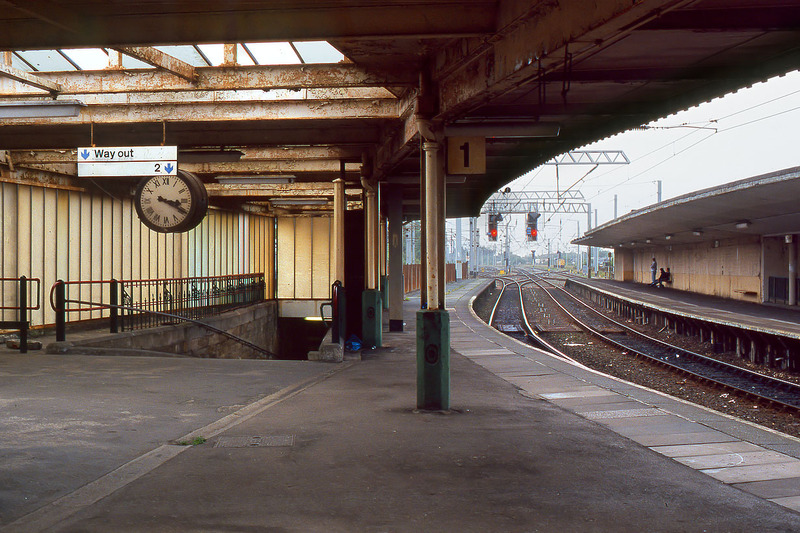 Although the station has recently been refurbished, when I visited on 17 July 1999, it was a dismal, windswept and dilapidated place.